If you're looking to escape to a relaxing, rural environment, look no further than Salles, located between Bordeaux and endless beaches of France's Atlantic Coast. 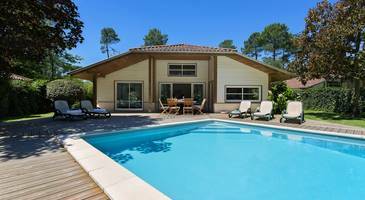 Close to the Parc Naturel Régional des Landes et Gascogne, the vast beaches of the Atlantic coast and the Bassin d'Arcachon, our presitigious Résidence du Château de Salles**** welcomes guests all year round. La Résidence du Château de Salles covers 21 hectares and comprises of 113 high-quality villas in the heart of the vast grounds of the Château. The Park has a natural setting amongst sweet chestnut trees sitting on the banks of the river Eyre. 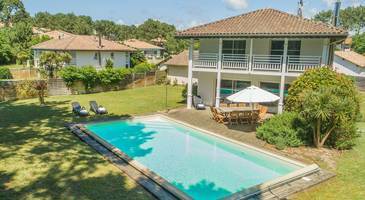 Résidence Du Château de Salles offers a wealth of on-site activities; a large outdoor swimming pool with children's pool, a fitness room, an outdoor fitness circuit, a boules pitch, 2 tennis courts, a squash court and bike rental are all availabile. Enjoy a regional specialities at the restaurant and brasserie as well as evening entertainment such as concerts on certain nights. during high-season, special testing evenings of local products are organised. For children, a Kid's club, a play area as well as a swimming pool are available. Not far from the Park you can access quality golf courses as well as visit cnaoe/kayak trips on the River Eyre. The surf and watersports of the vast Atlantic beaches are not far away, as well as the historic city of Bordeaux, famous for its arichitecture, culture and of course, wine! The idyllic villages of Saint-Emilion, Margaux and Sauternes are all within an hour's drive from the park.